Our body needs nutritious foods in order to fuel our muscles, organs so that the processes work efficiently. In fact if we eat proper healthy, wholesome food which has a proper combination of vitamins, nutrients, minerals indirectly it also helps to lessen the craving for unhealthy food. Having plenty of energy makes you feel energetic and strong. Wherever you go office, college, travelling you carry the energy with yourself. The drowsiness gets reduced and you are able to concentrate on your work more efficiently to give fruitful results. Proper nutrients are very essential for the production of germ fighting cells. If our daily diet does not provide essential nutrients our body becomes to several dangerous diseases. Not physically but it also helps in balancing our mind. You feel strong emotionally also it reduces irritation and mood swings. You are more alert, happy and confident. If you are thinking do we have you consult a dietitian for getting a proper plan for your healthy then really you don’t have to. There are simple simple things which you can try in your daily diet. A major substitute for sugar is honey. Honey a best substitute in many of our daily sweets. For eg you can use it in fruits drinks, Halwa, sweets, and milk. Have you ever seen your grandmother or your mother drinking boiled water mixed with honey and ginger in morning? Traditionally it is a weight control therapy. Do try it! Apart from weight management it is been used as a medicinal agent. It helps in reducing cold cough and throat problems naturally. Also a pinch of honey applied on skin can do wonders. The moisturizing effect helps especially for ones having dry skin. 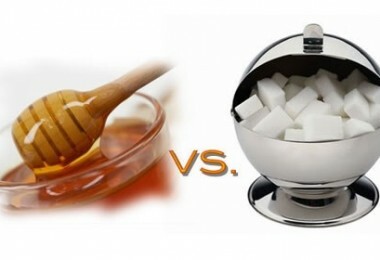 I personally use honey as a substitute of sugar in many dishes. If you are thinking for weight loss and your craving for eating sweets is a blocker then do thing on alternative ways of eating sweets and still staying fit and healthy.